Home » Kind LED Review: Are These LEDs Worth the Money? 1.1 Should You Buy a Kind LED Grow Light? 3 What Type of LEDs Do They Use? In order to make your job of choosing the right LED grow light for your garden easier, I’ve decided to make it my job to review the most popular LED grow light companies on the market. You see, there are a lot of different lighting companies out there, all with different claims and technology…it’s all a bit overwhelming! Today’s review is for Kind LED, an American LED grow light company targeted towards the high end market and based in Santa Rosa, California. …and much more. Without further ado — let’s dive into the details behind Kind LEDs! 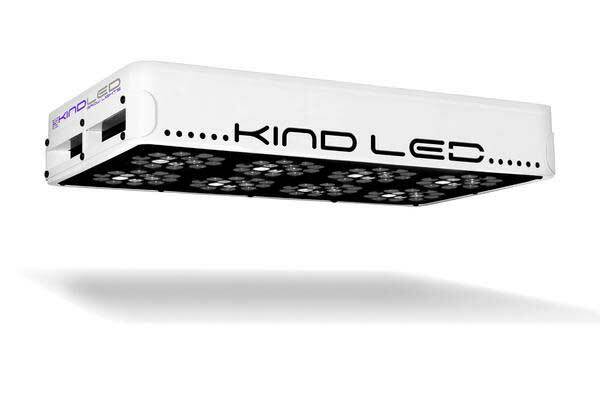 Kind LED is an American LED grow light company that targets the premium segment of the market. While their prices are certainly very high, they attempt to justify this by offering either 3-watt LED diodes or a mixture of 3 and 5-watt diodes, all of them 12 band LEDs. Their lights also have many other features, which we’ll get into below. The K3 Series models are powered by 3w diodes, while their K5 Series models are powered by a mixture of 3 & 5w diodes. The lights come with an integrated timer that will also simulate sunrise and sunset by using the IR diodes to stimulate plants to either wake up or sleep, as well as a remote for easy control. Their K5 Lineup also boasts of what they call a “customizable spectrum,” which means that you can dim or increase the intensity of a group of diodes to provide your plants with more blue, white, or more red light as needed. The Kind LED product line is certainly interesting, but it’s still up to the you as the consumer to decide whether these additions (like the integrated light timer) or their “spectrum switching” justify the extremely high price of these grow lights. Should You Buy a Kind LED Grow Light? 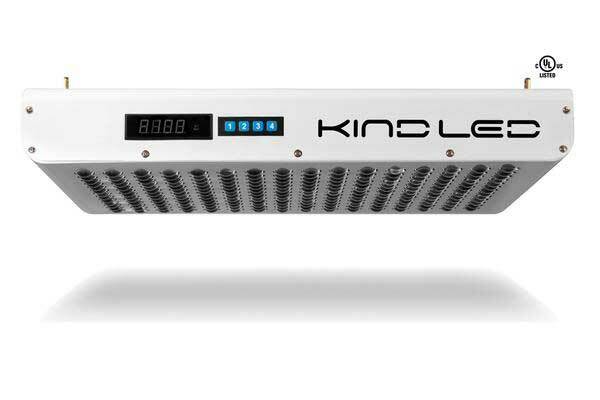 Kind LED certainly offers legitimate LED grow lights with real features, a solid warranty, and good customer service. However, they still practice old marketing tricks like comparing their lights to HPS or MH lighting by using unreliable terms like “HID Equivalent” while their actual output is certainly lower. I also could not find the actual model of LEDs used on their grow lights. All of this together leaves them in a rough spot when compared to some of the newer LED companies that have changed the marketing of the industry with a more honest approach. Both of these options put out a lot of light in a good PAR spectrum at a price that, while high, won’t necessarily break the bank. 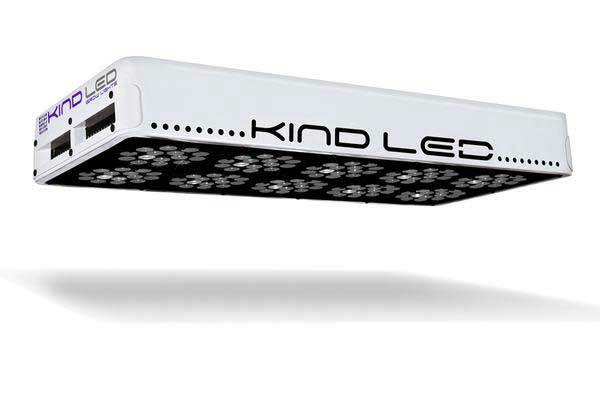 Kind LED Grow Lights is an American company that’s based in Santa Rosa, California. 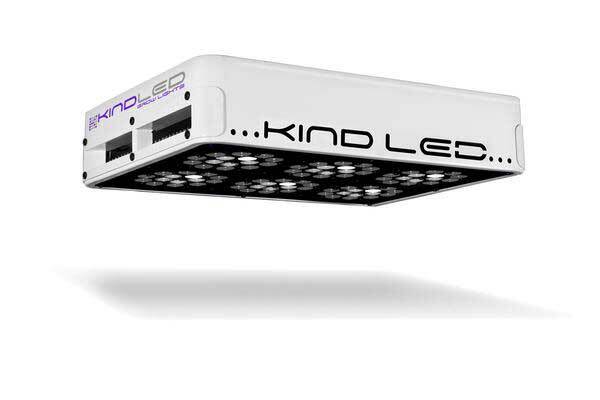 Kind LED was founded by experienced growers who utilized traditional HID’s to attain top quality results for decades. What Type of LEDs Do They Use? They also include Infrared (IR) and Ultraviolet (UV) LED diodes in some of their grow lights for an added boost. Whenever you buy a LED grow light, you must read the warranty that the company offers. Because lights are highly technical products, things can go wrong. The last thing you want to do is purchase a light, have it go dead on you, and have no recourse due to a poor or nonexistent warranty policy. You can read the full warranty information here, but all in all it’s a pretty solid warranty that covers most of the problems you’ll have with a defective light. Of course, the warranty does NOT cover any damage caused by modifications, neglect, or environmental issues that are out of the company’s control, but that’s pretty standard. 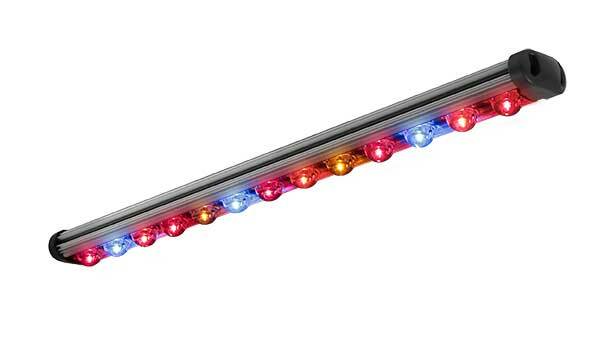 Kind LED offers many products within 3 product series. The K5 Series being their top of the line offering, followed by the K3 Series, a more mainstream offer, and finally offering Bar Lights as supplemental lighting where needed. 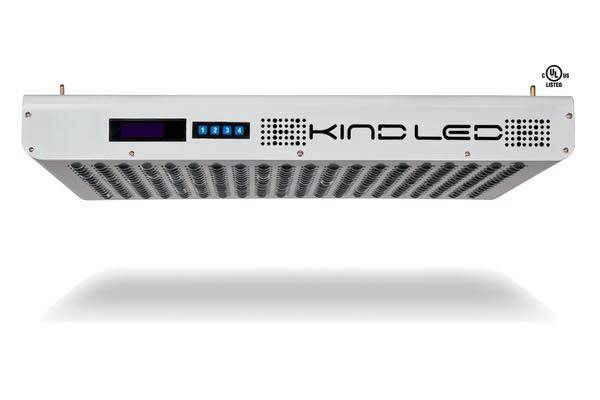 The K5 Series LED Grow Lights are an UL Listed offering comprised of a mix of 3 & 5 Watt LED’s. It boasts of the largest footprint and intensity offered by Kind LEDs. The K3 Series LED Grow Lights are comprised of 3-watt light emitting diodes featuring a proprietary 12-band spectrum designed for flowering large yields. This series is a more stripped-down offering of the K5 Series, with all of the top end features removed. HID Wattage Equivalent HID Wattage Equivalent: 450w. IP65 compliant and offered with two different spectrums, The Kind LED Bar Lights are supplemental lights targeted towards providing greenhouses the intensity they require. They can also function perfectly as primary lighting sources for plants that require lower lighting conditions. 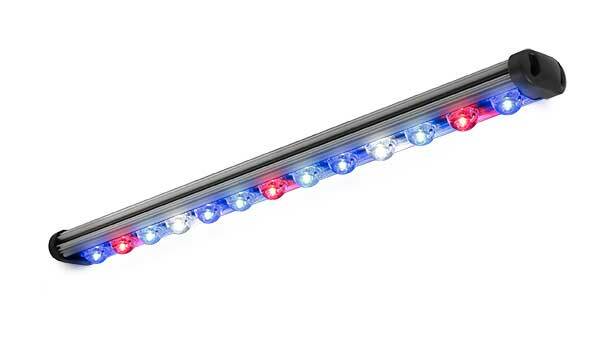 These bar lights also include UV & IR spectra in order to meet the demands of any plant. They are low profile, come with their proprietary 12-band spectrum and boast of a “Sturdy Craftsmanship & Durable Design” while being waterproof due to their IP65 Compliance. Overall, Kind LEDs are a solid choice in the mid to high tier range for LED lighting options. They’re certainly more expensive than some of the other companies I’ve reviewed on this site (like Viparspectra), but that’s to be expected when the company is located in California and the lights boast a lot of customizable features that many other LED products don’t have.